Did you know, that chronic headache symptoms can be treated with physical therapy? Many people look to medication and invasive techniques such as botox and nerve blocks to treat chronic headaches. In some instances, however, physical therapy can be a more conservative route to managing (and in some cases, eliminating) headache symptoms. Often times, headaches can be a result of muscular and/or joint dysfunction whether they contribute to the headache directly or via referred pain. 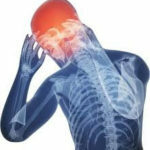 There are a number of potential culprits which contribute to chronic headache symptoms.